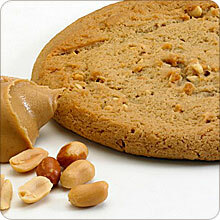 A cookie… with 15 grams of protein, all natural, and peanut butter flavored? Lenny & Larry’s makes The Complete Cookie, which comes in a few flavors, including the Peanut Butter flavor I was sent for free to try for a review. I found out from the website that this cookie is also vegan, and has 5 grams of fiber. The website further stated that “The Complete Cookie is the perfect, healthy snack.” Well, let’s give it a try! First, I looked at the nutrition. This cookie had 2 servings in it, but it was a rather LARGE cookie. Weighing 4 ounces, this cookie packed 426 calories,14 grams of fat, 620mg of sodium, 60 grams of carbohydrates, 5 grams of fiber, 24 grams of sugar, and 15 grams of protein. So, I’d have to disagree a little bit there and say that this is more than a “healthy snack”, and perhaps more of a meal. 2 oz. (half a cookie) is 213 calories, 7 grams of fat, 30 grams of carbs, 2.5 grams of fiber, 12 grams of sugar, and 7.5 grams of protein. Well, it’s back to lunch bags- but this time, a more sophisticated “lunch tote”! And this bag has more to offer than the standard lunch bag doodled with designs. I was offered a gift card from CSN Stores to pick out something to do a review on, so I chose the Green Smart Javan Style Insulated Lunch Tote. I chose this because I often have to pack a day’s worth of food ahead of time, and let’s face it. Warm yogurt is not yummy, and warm water is so not as refreshing as cold! On the plus side, this lunch tote is made from Neogreene, which according to the website, “is a water-based material which allows for a much cleaner chemistry than neoprene”. 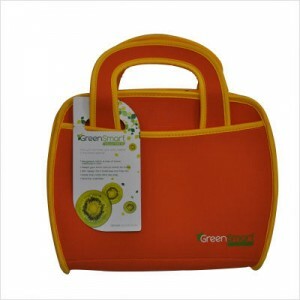 Along with that, it also stated this lunch tote “Uses 25% less petroleum, 25% less energy, and eliminates toxin laden solvent adhesives to bind the fabrics to the Neogreene”. So, I recieved my lunch tote in the mail the other day, and packed my food (from 12pm in the fridge until about 6-7 pm is when I used it). It kept my potato salad cool and my water actually quite cold, which was a plus in my opinion. I had a peanut butter and jelly sandwich in there, which didn’t really need to be refrigerated, but it kept fresh as well- no soggyness! I liked that on the bottom there was a sort of loop band to put a waterbottle in laying down- saved space! I also liked the bright tangerine color, and the fact that it was a soft lunch box, so it didn’t have that square shape or rough edges. So far, I’d say I’m a fan of Chocolite Chocolates. 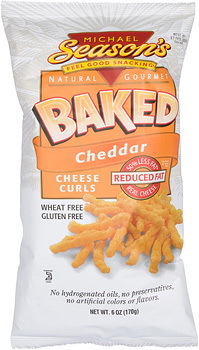 Not only are they relatively low-calorie, but they are also quite tasty! 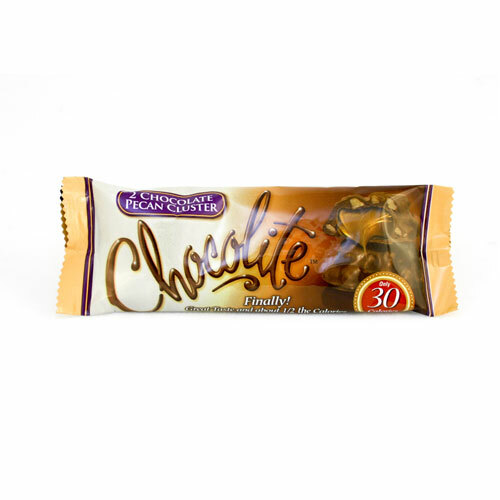 My favorites have been the Caramel Cashew Protein Bar and the Peanut Butter Cup Patties. Which are we reviewing today? Chocolite Chocolate Pecan Cluster! This package had 2 pieces in it, at 30 calories a piece. They also had six grams of fiber per piece, and 0 grams of sugar per piece. I opened up the package and saw two chocolate covered clusters, roundish in shape with a somewhat bumpy texture. One of them I saw the caramel oozing out of the package, so I assume that one got a little smushed 😛 I liked that each cluster was a pretty decent size, maybe about a little bigger than a half-dollar in circumference, and quite thick in width as well. I took a bite, and well, I couldn’t stop chewing! This seriously has SO much caramel! If you are a fan of caramel, I would highly reccommend these! I sort of wasn’t even expecting a ton of caramel, since it was called a “Chocolate Pecan Cluster”, although the picture does depict a good amount of caramel coming out of the cluster on the package. Other than the caramel, which actually was pretty good it was just rather chewy and had that stick-to-my-teeth feel, the chocolate part was very good. It had a smooth and sweet milk chocolate taste. I was a little disappointed on the pecan part, as although I do believe there were little bits and pieces of pecans throughout the cluster, it was lacking in pecan flavor- one of my favorite nuts! Overall, I give this 3 stars. It was pretty good, and I liked that there were 0 grams of sugar per serving. However, I do like the flavor of caramel, but not so much the consistency. If it was a bit less chewy, perhaps I would have liked it more. 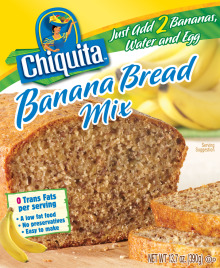 1 cluster is 30 calories, 2 grams of fat, 8 grams of carbohydrates, 6 grams of fiber, 0 grams of sugar and 1 gram of protein. 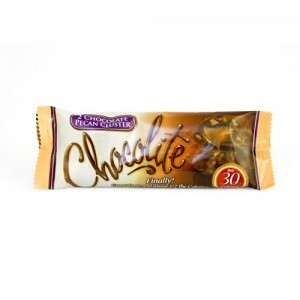 * I was sent this product to review for free from Chocolite/Health Smart Foods. I was sent a jar of Suzanne’s Specialties Rice Nectar Spreadable Fruit in Apricot flavor to review. I was excited to try this- I happen to love strawberry and grape jam or jelly, so I imagined this to be like an “apricot jelly”. According to the jar, this product is gluten free and vegan. I opened up the jar and saw a pale yellow/orange inside. I scooped a little bit out and noticed it was sort of like a gel- it wasn’t very liquidy like jellies can sometimes be, and I didn’t see any pieces of fruit. It was sort of a stiff yet easily moveable gel. I tasted a little bit, and was actually satisfied. It wasn’t as sweet as I had expected it to be, but was still tasty. It had that dried apricot flavor that I love- mildly sweet with a tangy aftertaste. Overall, I give this 4 stars. I do wish it was a bit sweeter, but overall I liked it. I liked that it was gluten free, and vegan, as well as being all natural. I can imagine it great on a slice of whole wheat toast, or maybe even with peanut butter in place of grape/strawberry jelly on a sandwich. Yum! **Question- what’s your favorite dried fruit, and how do you like to eat them? 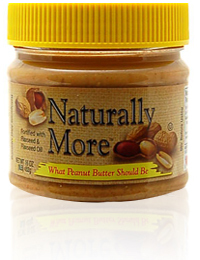 1 Tbsp is 40 calories, 0 grams of fat, 10 grams of carbohydrates, 0 grams of fiber, 7 grams of sugar and 0 grams of protein. Wallaby Yogurt makes some pretty delicious products, such as organic yogurt in nonfat, low fat and “down under” (fruit on the bottom like) varieties, and now they even make sour cream! I love when yogurt is organic, as I think it tastes very fresh and clean, without any aftertaste. So, browsing the aisles at the supermarket I stopped in my tracks… this can’t be… CARAMEL APPLE YOGURT??!? I hope we all know my obsession with apples… 😀 I immediately put it into my shopping cart! 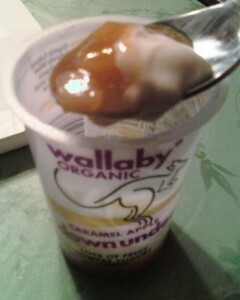 I know the last time I tried a Wallaby Yogurt it was good, but not as thick as I like yogurt to be. It has an almost runny/liquidy consistency, not as thick as other yogurts and certainly not thick like greek yogurt. So, I stuck this in the freezer for about 30 minutes to let it thicken up. I opened it up and took out a scoop. It was a creamy vanilla yogurt part that was on top, that was smooth and sweet. On the bottom were apple chunks in an almost caramel/applesauce flavored syrup. Really delicious! At one point I actually did feel like I was eating a caramel apple! Overall, this gets 4 1/2 stars. WAY too good to pass up! 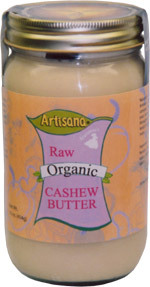 Tasty, organic, and sweet but not too sweet, it was very delicious. I jus wish, of course, the yogurt part on top was a bit thicker, but still enjoyable nonetheless. Also, it wasn’t as filling as I wanted it to be, but pair it with some cereal or something and it’s a great afternoon snack! 1 container is 150 calories, 2 grams of fat, 27 grams of carbohydrates, 0 grams of fiber, 23 grams of sugar and 6 grams of protein. How convenient are burritos? I mean, it’s a meal-on-the go! For a person like me who’s always busy doing something, when I’m in a rush I find burritos and things of that sort very useful! So, I was especially happy to try Evol Foods Veggie Fajita Burrito. This burrito (provided to me for free from Evol), is vegan and is also 70% organic (according to the website).I made this in the microwave and then stuck it in my toaster oven to crisp up the outside. I also enjoyed this with some applesauce for a light lunch. After eating the burrito, I was quite happy. Although it wasn’t incredibly filling, it was the point where I was satisfied and content after I ate. There were tons of black beans and rice in this burrito, which I really enjoyed. I actually thought the rice was white rice, since it was sort of fluffy, but according to the ingredients it in fact was brown rice. The corn on the inside was sweet, and the filling also had a sweet taste overall, which I partly assume was from the onions as well. The inside overall was soft, slightly mushy, but pretty good. It wasn’t as spicy as I had expected it to be, I don’t know why I even expected it to BE spicy, perhaps due to the fact it was called a “fajita” I assumed spicy- who knows. 1 burrito (170 grams) is 290 calories, 3.5 grams of fat, 56 grams of carbohydrates, 5 grams of fiber, 3 grams of sugar, and 10 grams of protein.